A historic flavor on our excursion today. We can start from the beautiful village of Akrotiri with its medieval castle, the panoramic views and the renovated museum La Ponta. Only 1 km away, we will find ourselves travelling from the Middle Ages to Prehistoric times and we will visit the stunning archaeological site of Akrotiri, a city buried in the ashes of the Minoan eruption and discovered 3,500 years later. 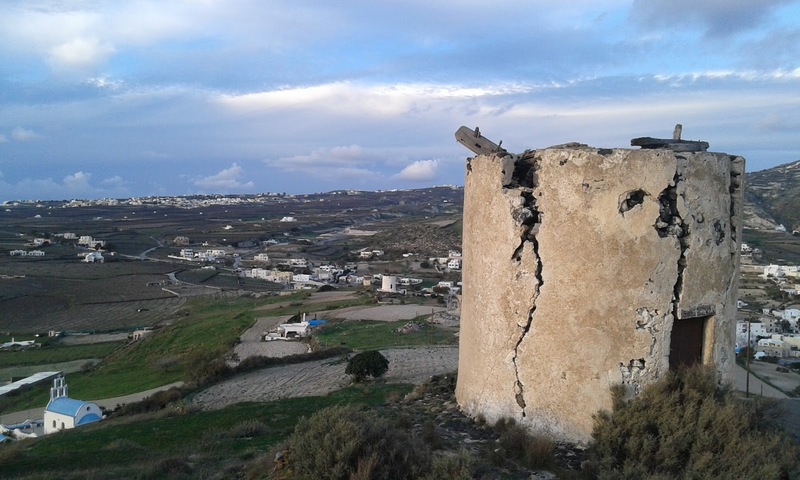 Then, we head toward Emporeio and we turn right before entering the village (sign "Myloi") to admire the old windmills on the hill of Gavrilos and the view from above. Finally, we drive down to the famous black beaches of Perivolos and Perissa to swim, eat and relax.